The AMA asks to have its content removed from the platforms of waiting room advertising technology firm Outcome Health “in light of recent unfavorable reports in the media” that involve fraud accusations against the company. Another publisher, Harvard Health Publishing, says it is “reviewing the situation” in determining the future of its relationship with Outcome Health. Outcome Health offered voluntary buyouts to most of its employees late last week because of “challenging times.” More than one-third of its employees – about 200 – took the company up on its offer of a 90-day severance payment to quit. That will reduce the company’s headcount to just over 300, based on previous estimates. 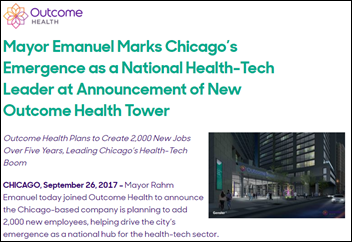 The company laid off employees in late September just after pledging to add 2,000 Chicago jobs by 2022 when it dedicated Outcome Tower on Chicago’s North State Street. Meanwhile, a Chicago Tribune investigation finds that the company has struggled for years with salespeople making false and misleading statements to medical practices in trying to get them to replace a competitor’s system with that of Outcome Health. 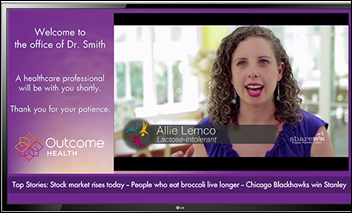 Examples include one salesperson describing drug company advertisers as “diabetes advocacy organizations;” using a drug company rep’s conference badge to obtain material from a competitor’s trade show booth; telling practices using a competitor’s system that the competitor had approved replacing its product with that of Outcome Health; and lying to prospects about how many of the competitor’s systems it had replaced. 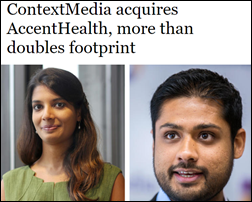 Outcome Health also twice sued competitor AccentHealth for making misleading statements to prospects in the same manner it has been accused, but then bought that same company months later in November 2016. From Lee Carmen: “Re: UI Health Care’s Epic Community Connect program. The Community Connect program is currently part of UI Health Ventures. UI Health Ventures is going through a reorganization process and our Community Connect program will transition into UI Health Care in the coming months. Operations will continue as usual for our current clients, but we are putting a hold on new contracts for now as we complete the transition.” Thanks to UIHC CIO Lee, who provided this response to a reader rumor I ran earlier this week. From PreviousGen: “Re: NextGen. 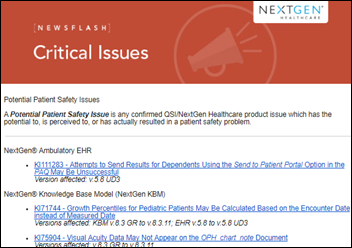 Looks like someone sent their patient safety problem alert to the wrong list!” I give them credit for notifying users of potentially patient-endangering software problems, which amazingly is still not done by some vendors. From Itchy Scratchy: “Re: HIMSS social medial ambassadors. Can you explain the point?” The précis: HIMSS likes to get mentioned in tweets by folks it can bribe with free conference registration and the chance to mug with each other for Twitter selfies. My admittedly cynical observation is that for some of those chosen, their social media volume is inversely proportional to their relevant education and real-world accomplishments. Change Healthcare acquires Docufill’s dental provider credentialing technology. 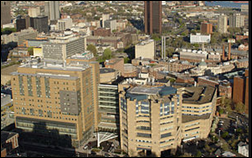 Yale New Haven Health (CT) chooses the Visage 7 enterprise imaging platform. 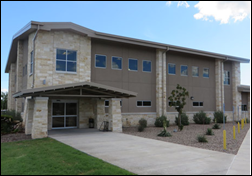 Iraan General Hospital (TX) goes back to CPSI’s Evident Thrive EHR, saying it had previously switched to an unnamed system that caused billing problems and couldn’t handle its service lines. Smartphone wound image analysis app vendor Tissue Analytics hires Mark Becker (Cerner) as VP of sales. Jonathan Teich, MD, PhD (Brigham and Women’s Hospital) joins InterSystems in a role he didn’t specifically name in his Facebook update. UPDATE: Jonathan report that his new job title is CMIO/director of product management. Patrick Conway, MD, MSc, former CMS administrator for innovation and quality, joins BCBS of North Carolina as president and CEO. Continuous monitoring vendor EarlySense hires Karissa Price-Rico, PhD (Healthways) as COO. FCC Chairman Ajit Pai announces his plan to “stop micromanaging the Internet” in ending net neutrality regulations that prevent broadband providers from selectively throttling back or blocking traffic from specific sites and apps and from charging cable-like a la carte pricing for accessing specific websites, expected to be approved at FCC’s mid-December meeting in a straight party line vote. Internet service providers would be free to do whatever they want as long as they disclose their policies to users, making Internet service less like a public utility in transferring most oversight of consumer protections to the Federal Trade Commission. The AI-powered robot of a China-based company passes the country’s national medical exam with an above-average score. 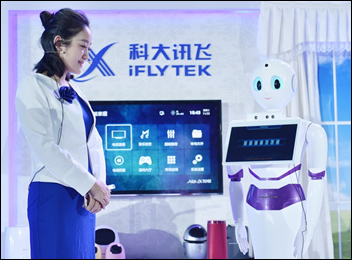 IFlytek will launch the robot in March 2018 to improve cancer care and to train PCPs. A reported 500 million people in China use its voice product that translates between English and Chinese, which also powers business functions such as transcription, automated call center replies, and sending voice instructions to ride-hailing app drivers. The 10 robotic greeters in the lobby of one hospital in China give directions to departments based on what symptoms the patient says they have, while clinicians use it to input voiceprint-verified information into the EHR. 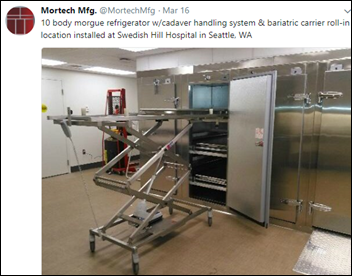 A report on the use of technology by the “death industry” cheerily projects a big increase in sales of equipment to private morgues that correlates to the number of US hospitals. Refrigeration units are the big seller for which business is “booming,” driven by North American Christian burials that require holding bodies for long periods. In India, a governor performs the dedication of a new pharmacy-based telemedicine center, although its head later admitted to the press that it has no doctors or other staff, adding that the busy technicians conducting tests in the background were just brought in for the photo opportunity. According to the local paper’s account, “The centre has been set up by converting a courier container, which was lying unused at the Dhanas dispensary for nearly a decade.” Meanwhile, another paper reports that dispensary patients were told to come back the next day since its only doctor was hosting the festivities. Visage Imaging will demonstrate the AI-powered research and diagnostic capabilities of Visage 7 at RSNA. The Minnesota High Tech Association names Ability Network the software category winner of its Tekne Awards for its cloud-based revenue cycle management application. Nuance will showcase AI enhancements for radiologist effectiveness at RSNA.